italian food is my absolute favorite food on the planet. 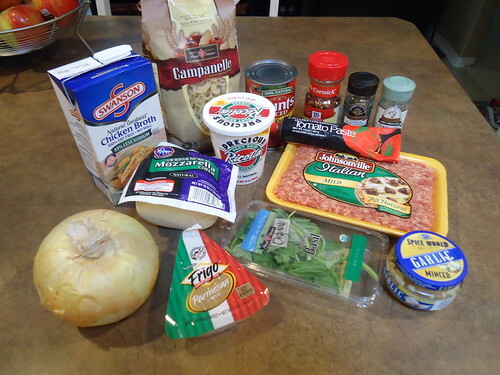 i am always looking for new to try and when i came across this recipe for lasagne soup, i just knew that i had to try it. i have made it twice now and really enjoy it. tom really enjoys it, it is one of his favorites! it’s very simple to throw together and tastes just like the real thing! i’ll quit babbling about my love for italian food and get on with the recipe! cook pasta, per box directions. rinse pasta with cool water, to stop the cooking and set aside. 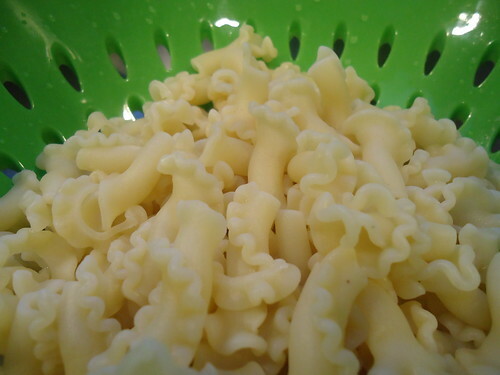 i love campanelle pasta because it looks like mini lasagne noodles…. see? in a medium sized pan, brown sausage and drain excess grease. in a large stock pot, add sausage and onions, cook until the onions are softened. add garlic, oregano and pepper flakes, cook for a minute. add tomato paste and stir to combine, cook for an additional 3-4 minutes. add tomatoes, bay leaves and chicken stock. stir, bring to a boil and then simmer for 30 min. 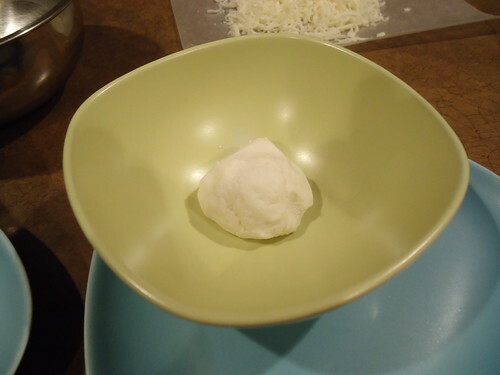 while the soup is simmering make the “cheesy yum.” combine the ricotta, parmesan cheese, salt and pepper in a small bowl. divide up between your serving bowls. just before getting ready to serve, add the pasta and basil to the soup. retrieve the bay leaves, if you can find them. 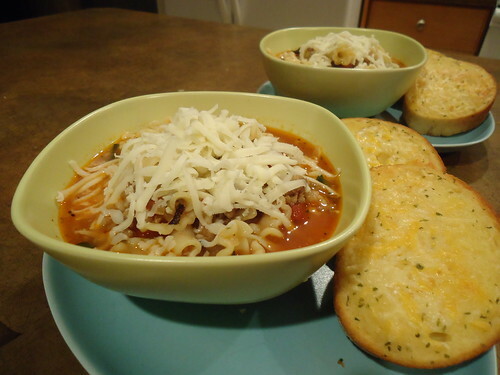 when serving, ladle soup over the cheesy yum and sprinkle with mozzarella cheese. oh, this looks good!! I’m going to try this.